Congratulations to you, If you are an about to be mother. You have probably heard about the Baby Registry of various websites. This article is actually for those pregnant moms. First of all, don’t even bother about the other baby registers except Amazon. It will give you all the necessary information you are going to need as a beginner on Amazon Baby Registry. What is Amazon Baby Registry? Having a baby is the most wonderful feeling on this earth. If you are about be a mom for the first time or the second or the last you will certainly have something planned for your upcoming kid. To help your dream come true just like the way you want, you need the Baby Registry. What you have to do is enlist your baby’s arrival date and select the discounted products you will buy. You will be able to save $$$, if you be an Amazon Mom member as well. It’s like buying a bundle on a discounted price. It’s as simple as that. 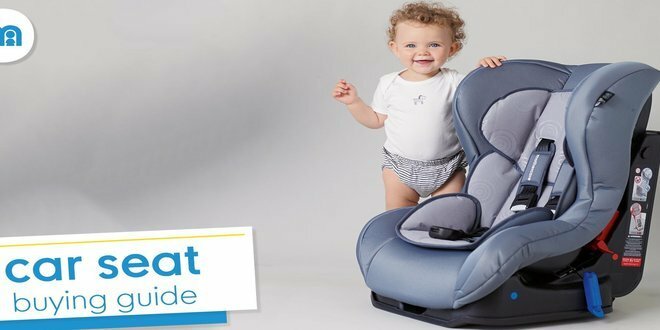 So, you can buy best infant car seat with this Amazon baby registry to save some bucks. Help from the Amazon Assistant, who will try their level best to help you pick the proper product for your upcoming child. There is a huge collection of products that come under the umbrella of Amazon Registry. This list is way longer than any other sites. Well, the user interface is amazing! Really Amazing! It’s like playing a game. The account can be managed from any device. There’s a mobile app dedicated for that purpose. If you aren’t satisfied with the product you get a 90 days’ time limit to return the product. Returning the product is also and the money you spend gets returned to your account immediately. Free shipping! Yep, the shipping is free and fast. There are so many things more than that. Don’t miss all those extra benefits that Amazon provides for the pregnant moms. Amazon tends to provide the best for babies. If you think closely you will find that all these deals are really beneficial for you. It reduces the hassle of shopping individually and makes shopping fun. All these features have made Amazon’s Baby Registry very popular. If you want to shop online, just shop in Amazon. 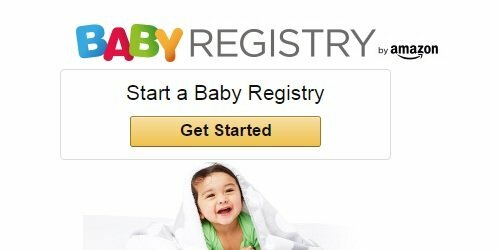 How to Create a Baby Registry on Amazon? Okay, now that you’ve known about Amazon’s Baby Registry and its benefits. It’s time to start the journey. Probably it’s the first thing you’re going to do for your child. Here’s a step by step solution for creating your Baby Registry. Step 1: Follow the link to go at Amazon Baby Registry. Step 2: A simple one – Just click on the “Create an account”! Step 3: In this part you just have to follow the on screen instructions. Here you have to provide certain information about your name, due date of the baby, location and some other required fields. From this part you’ll be able to do it by yourselves. Don’t worry this information you provide are highly confidential. You can use the Co-Registrant option to keep in touch with fellow moms. This is quite helpful for choosing your pick. With this connecting option you get to see what your friends and family have picked for their children. Step 4: To complete the registry just click ‘Submit’ and you are done. If there’s anything wrong in the process you will be redirected to the first page and your errors will be marked in red. Now, it’s time for using your Baby Registry and extracting the juice of benefits from Amazon. How to Use the Baby Registry? Basically the Baby Registry itself is a guide for you. It will suggest you the products you need to buy for your upcoming baby. It’s a sophisticated wish list. To use the Baby Registry you must first select the product you wish to buy. You can go to the Baby Store and choose your desired product from thousands of various items. Select a product a product and go to its detail page. Here you can find the “Add to Cart” button for Baby Registry. It is located below the buy box. The product will automatically be added to your Baby Registry list. Can change the quantity of your purchased item. Thank the people who gifted you. So, you see what a miracle the Baby Registry is! It’s just a piece of cake. When you are browsing the Baby Registry click the Add to Cart button and buy products directly. It’s as same as buying regular items from Amazon. So, it will be known environment for you. Why and When to Create Baby Registry? Bothering you? Don’t worry dear; you’re in good hands now. Today I’m going to talk about the reasons behind opening a baby registry and proper timing of opening one that save your $$$ while buying best travel car seat for your loving child. Baby Registry provides discount for upcoming baby’s products. Who doesn’t love to get discounts? There are many more things you get if you get your baby’s arrival registered. Now, there are many online stores where you can open a baby registry account. Among those sites Amazon is the most popular one in these days. Amazon has enough reasons to be the top baby registry. So, you can get many things at one place if you have an Amazon baby registry account. Discount – whatever you need for your upcoming angel, everything is on sale. Save a lot of money instead of wasting. Amazon is concerned to enhance your happiness. Fun – The whole thing is designed to make shopping for your baby a joy ride. It’s more like playing a game. The user interface, the accessibility with any kind of device, the social connectivity, the peeking on other’s list everything is so fun filled. Easy – Imagine you have to walk around in the mall with the baby inside. Doesn’t sound like so comfortable, does it? Well things have been made easy for you. What you have to do is log in to the website and you’re on the biggest shopping mall that man has ever built. Also, the Baby Registry has numerous features that will compel you to get it. Amazon promises a safe and reliable delivery each and every time. You will also be able to return the product within a 90 days’ timeline. Aren’t these reasons enough to convince you in registering your baby in Amazon? When should you register your baby’s arrival? It’s not basically that hard to determine. The registry offer activates two months or 60 days before your baby’s arrival. So, the sooner you register it the better it is. It always takes a few days to understand everything about it. So, give enough time to explore the products you are going to buy. The list should not be short. Try buying every possible thing that you need for your upcoming child. I must note here that the offer will expire after 90 days of your child’s arrival. Take a peek at what your friends and family have picked. Ask for suggestions. You can also go to the experts in Amazon for help. They are really eager to fulfill your demands. Add items, remove items, do whatever you want with that list. It’s for your baby. Let’s get your baby’s arrival registered and start saving. You probably have heard about the baby registry by now. But do you know how you would be benefited from it? Well that is what the following discussion is about. This will bring all the benefits of Amazon Baby Registry in front you. With the knowledge of these you would be able to get maximum utility of the whole concept of baby registry. Amazon has the biggest product range in the whole world. In this gigantic store you get to buy almost anything for your upcoming angel. Whatever you are looking for, you’ll find it on Amazon. This saves a lot of trouble. Moreover shopping has been made easy and comfortable thanks to the new user interface and suggestion corners. You don’t have to jump from sites to sites for a product, just name it on the search bar and it would instantly be in front of you. So, ultimately it’s an ocean of products from where you can choose your picks. Wait, it’s not over yet. If you find a good product in another site and it’s not present in the Amazon, you don’t have to worry. You can also add that product in your registry. Amazon has millions of customers. The customers aren’t only there for shopping. Rather they are active in posting reviews too. It’s really a good thing when you want to know extra information about the product you’re going to buy; best car seat reviews as an example. Most of the reviews the clients post, contain information that are absent in the product’s feature page. So, it is really helpful in providing additional information that helps you to guide about the product. Moreover you get to know about people’s experience of the product. These are the things you shouldn’t overlook. You’re pregnant enough. You shouldn’t linger in the mall in this stage let alone carrying those heavy boxes. It will be hard for you. Some people don’t prefer shopping online. Well, it’s a backdated thought. Now online shopping is very trustworthy. You don’t have to be worried about being scammed when you shop from Amazon. Their shipments are really great. Amazon does the job of delivery with great care. So, why would you go to the mall or gigantic super shops? Yes, when you’re shopping everything for the baby you deserve a discount. And Amazon is always there to provide you that. If you are really want to save money in shopping at Amazon and nowhere else. You get a flat discount under baby registry. Isn’t it amazing? Wait, there’s more. The free shipping is also a money saving machine. So, the whole website and program is built to extract your actual value for money. Don’t miss the opportunity of saving $$$ as a pregnant mom. Amazon has made the Baby registry very lively. To make it living they have added the social media connection and friends and family features. With this your friends and family can see what you are picking on your registry list. You can ask them for advice, see and select their products or the baby registry checklist. Also, you can receive gifts and thank the one who gifted a product for your child. All these things make shopping really fun. Entering and managing baby registry list is super easy. The website can be accessed from any kind of device from anywhere in the world. Changes in the product list can also be done with any device or computers that have internet access. There’s an app to make things easier. Also, a plugin is provided with the browser for adding products in the list. If you aren’t satisfied with any product you can send it back from where it came. If any broken product reaches your home, just return it instantly or you get 90 days to do it if you register your baby in Amazon. This is a really unique deal from Amazon and it kills all your worry. If you want to return the product what you have to do is just send it to Amazon via courier with a printed code. (Learn the return policy and procedure from Amazon’s website & it’s really easy). As soon as they get the product they will deposit the money in your account. The fast response will make you amazed. I love Amazon. I’m sure you will love it too. Now you know the benefits of Baby Registry. All these benefits have made and are making Amazon Baby Registry more and more popular. Sometimes I see pregnant moms so excited about it that it feels like they only got pregnant for being a part of the Amazon Baby Registry. Well it’s a success of the program launched by Amazon. How to Proper Use of Amazon Baby Registry? Baby registry is a great way of saving money. Only if you know its proper use you will be able to save $$$ from it. As it is a relatively new feature launched by few online stores, many people don’t know its true potentials. If you still don’t know much about baby registry or how to open one, go to open an account at Amazon. To help you with the management of your baby registry I will provide you some tips and talk about things what you should and shouldn’t do. You already know how the baby registry works. Now, it’s up to you to use it. Remember, without proper knowledge of your baby registry program you will not have that much luck. At first make a plan by yourselves, when you are going to have the baby, what would be its gender, how you are going to arrange the baby shower and what things you tend to buy for your baby? It begins at least 60 days prior to the arrival date of your baby and expires 90 days after the birth. So, whatever you have to do, you have to do within this timeline. To know more about this follow some basic tips that deal with baby registry. Many online stores now a day provides this baby registry program. Well Amazon undoubtedly stays at the top of the list. It became very popular due to its features. The next name you’ll find is Target, which is quite simple but not vivid like Amazon. Well, guess what, Amazon is universal. You can even add products to your baby registry list from any corner of the internet. Not only this, you can also gain discount if you register under Amazon mom. It may not sound much but it really is a great deal when you grand total the price. There are tons of other exciting features of Amazon what you shouldn’t miss. Don’t forget to study everything about it also. Follow our Amazon Benefits section for more information. There you’ll be able to lean how Amazon’s baby registry works and benefits you. You are certainly not going to buy whatever you see. What you need is a checklist of products you tend to buy. Talk with your mom; talk with your friends or elders who mothered child. They will give you excellent tips about the things you’ll need. Now, don’t forget to categorize your desired products according to their priority. It’s not like only pricey things are sold with discount under this program, that’s why don’t forget about necessary things like diapers. Get these disposable products at higher quantities for future. You may not be able to buy them at discounted price later. Don’t rush, take your time. Understand the products carefully. Judge yourself if it will meet your demands. The products are presented in a manner that they will appear with their most beautiful looks. Don’t fall for their fancy looks. Read the user reviews for better knowledge of the products. 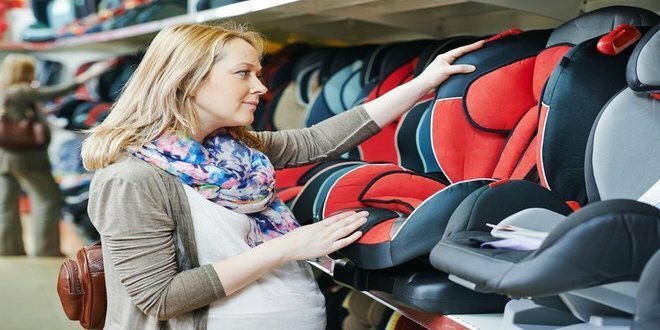 If you are going to buy a stroller or a convertible car seat or infant car seat or booster car seat or things like that you must read their reviews and know people’s experience. To know more start searching on Google about the product reviews. This way you’ll learn almost everything about it. Remember, Amazon provides expert’s help. Feel free to ask them if you need anything. Also don’t forget to take a peek at others baby registry accounts. This way you will end up with products that will make you really happy. You are given the ability to share your baby registry product list with friends and family. Also, you can get gifts and announce the products you want to get as gifts. Sounds weird? It’s not actually. The baby registry program allows you to act as a child. If you do all the shopping by yourselves it will not be that much fun. That’s why let people know what you are buying for your baby. That is way people around you will avoid gifting you those things. There’s something I should note here, people often find dresses most appropriate for gifting. So, avoid adding dress to the list, because you’re going to get a lot of them. 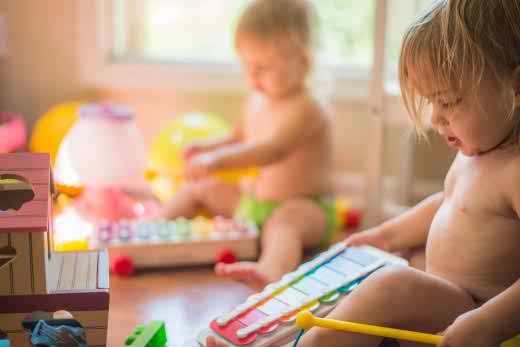 Sometimes moms easily mistake baby registry as a program launched for buying strollers or car seats or pricey baby products. It actually doesn’t work that way. You can claim your discount on just about anything that your baby will need. Be sure to have smaller price tagged products in your list too. This way you save more money that you can’t even imagine. Now you know how to use Amazon baby registry account efficiently while buying child car seat to save money. These are pretty basic things that you should keep in mind. It’s time for you to go play at Amazon shop’s baby section. Make the most out of your baby registry and never forget that we’re always here for you. 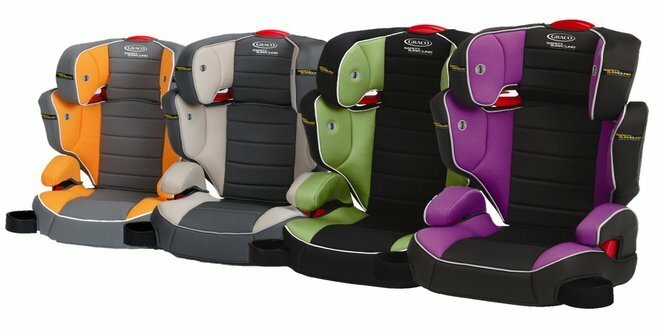 How to Buy Booster Seats for a child and Use it properly?